Dr. Biruk Lambisso is a senior consultant Orthopedic Surgeon by profession. 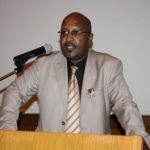 He is also an Associate Professor at Addis Ababa University – Black lion Hospital, President of Ethiopian Society of Orthopedics & Traumatology (ESOT), Head of Department of Orthopaedic at School of Medicine, College of Health Science in AAU. He is also the Chairman of several committees at Federal and Addis Ababa City level. Dr. Biruk has been elected and served in several executive committees of national professional associations such as the Ethiopian Medical Association (EMA). He is known for his extensive work in the areas of Medical ethics, Medical professionalism and teachings of CRC. Dr. Biruk enjoys treating patients, teaching medical and specializing students/doctors and conducts several researches. He is also recently getting interested in leadership. It is to be well remembered that Dr. Biruk and the team operated on a teenage girl with parasitic twins and received an award and recognition from the Parliament of Ethiopia. He performed over 15,000 documented major/complex orthopaedic surgeries, both at his public and private practice in the last two decades. He is a much respected surgeon the nation has produced and enjoys helping citizens in need. Many benefited from his healing hands and learned his skills. What inspired you to join the department/field of orthopaedics? As my parents were health professionals, I grew up in a hospital setting seeing patients treated, operated, surgery done, patients waking up from anesthesia, having seen blood, broken bones and what have you. Above and beyond, I clearly remember Ethiopian soldiers treated by Cuban doctors in Shashemene Hospital, during the invasion of Somalia. They were fixing fractures every so often. In fact, I was constantly dreaming of studying medicine despite I was a little boy. This idea was coming in and out of my mind from time to time. While we are on the subject, my dad was a hospital administrator while my mother was operation room head nurse. I think I am very much outcome minded: “Fix what is broken and show”. To cut a long history short, I grew up heavily influenced by scores of medical doctors working in the hospital where I was born. I still remember their names and some are still alive! What is being an orthopaedic Surgeon all about? To begin with, orthopaedics is the branch of medicine and a surgical specialty concerned with correction of deformities or functional impairments of the skeletal system, especially the extremities, the spine and associated structures, as muscles and ligaments. In other words, it is a specialty that you opt for after serving as a General Practitioner doctor (G.P). In actual fact, you do orthopedic four to six years anchored in the program of a given country seeing as there is no fixed timeline. More often than not, orthopedic treatment concentrates on fractures, deformities, neoplastic conditions, musculoskeletal (MSK) infections, metabolic bone diseases, joint diseases, congenital MSK conditions, muscle diseases as well as nerve disease apart from degenerative disc disorders and other related aspects. More to the point, we heavily deal with hands extremities (upper and lower limbs), plus the back and some extra skeletal structures. By the same token, orthopedic is relatively new compared to other specialties in view of the fact that it is a young science which is progressively booming at this moment in time. It is also an issue of the era as we encounter a lot of broken bones from injuries resulting from road traffic accidents, constructions, falls, machines, conflicts, among others. Just now, if you open a TV you will see most of the news involves explosions, blasts, terrorism, natural disaster… taking place in various parts of the world. If truth be told, it is unquestionably orthopaedics today is one of the leading specialties demanded worldwide. What are the common orthopaedic problems in Ethiopia? We have all orthopedic problems the other world faces. The common ones are trauma, injuries or accidents. Most of the fracture-orthopaedic problems arise from traffic injuries while the remaining causes are constriction falls following the booming of construction in every nook and cranny of the country, the raising of the country’s economy and other development issues. Natural disaster is also another cause in addition to emerging conflict, shootings, tribal conflicts, police conflicts, boarder conflicts and all that. Hence, in this big category, we have injuries which take 70% of our work while the rest revolves around MSK tumors, musculoskeletal infections, congenital problems, sports and degenerative issues from aging, osteoporosis, etc. We are very busy! A sports injury is a big issue at the present. We deal with a lot of problems. We have more than 13 sub-specialties. We replace/change joints. We remove the destroyed joints and put new one for life long. Such joint replacements, spine and disc diseases are also our area of expertise. Above and beyond, orthopaedics is linked with daily activities of a human being. The aforesaid problems are the common ones in our country and thus we are dealing with them. It is growing day by day at this moment in time. How do you assess Ethiopia’s orthopedic care? As I have tried to mention so far, Modern orthopaedics is a new discipline which is growing little by little. The department I head now was founded 31 years ago. There were three residents or specialty students at that specific juncture. As a matter of fact, some of them were from foreign countries. The department gradually kept on increasing in number following our unreserved efforts. When it was founded in 1991, there was one Yemeni citizen. At the moment, we have eighty eight specializing students only at the Black Lion Hospital (20 more will join us this September). In the last 3 years, we have opened here more Orthopaedics specialty training Departments in St. Paul, Mekelle and BahirDar. Other more will open soon. More to the point, we possess a number of doctors specializing in orthopedics at national level. This is where we are in terms of number. In few years, we shall have good number of orthopaedic surgeon in Ethiopia. But in terms of service, some patients still opt for sub-standard or unscientific treatments. With time, increasing number of citizens prefers modern orthopedic care and hence they are staying away from traditional medicine. We are always flooded with patients. Moreover, thanks to our health extension workers, we receive many neglected and abandoned patients. That is how we met Workitu (the patient mentioned a while ago) who was suffering from parasitic twin for many years. She was locked in the house. The health extension worker brought her and we fixed her problem. This is amazing for us. With minimum effective cost, we can knock every door and address health problems of our citizens house-by-house. Would you please tell us a little about your success journey regarding Workitu’s surgery? Sure. By the way Workitu visited us last month. She is doing great, leading perfectly healthy life. The first intervention effort to help Workitu was made by a Health extension worker, Askale Mengistu who is one of the two responsible health representatives for the 789 households in Workitu’s village. While tallying the health statics of the family, she found out about the girl and urged the mother to take her to the nearest health center to see if there was a solution but her mother could not achieve the intended target as it should be. 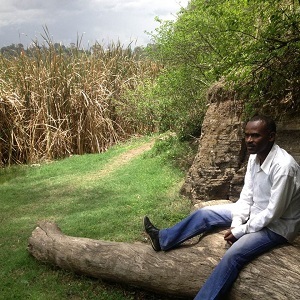 At some point Workitu’s brother took her to a health center in Akaki area in Addis Ababa where their sister lives. After that, the health center referred them to Gandhi and thus the doctor sent them almost immediately to orthopedic department at the Black lion hospital. As it is the medical faculty of the Addis Ababa University, she got much attention from the doctors and the medical students who marveled at the unique case they encountered. Then, I examined her and decided to protect her from further scrutiny so her secured a private room and returned back to his meeting with her picture. Dr. Tewodros Adanom, advised me to come up with a sound plan to handle the case. Two days after this incident, along with Dr. Yodit Tequabo, I organized the ‘great grand round” which is a gathering of the entire physician at Black Lion including professors, specializing residents and undergraduates student. We also invited senior specialists whom we thought would be relevant to the case and presented Workitu’s history. The meeting was adjourned with a decision to review more literature about the condition since none of the physicians there have been encountered such a case in their practice. The very next day, I called a meeting and a team of 11 physicians was established to carry out the possible task of attempting a separation surgery. Sooner or later, after the case was discovered the medical team successfully completed the surgery after a painstaking process of eight hours although it was initially anticipated to take 20 hours. While all the extra limbs, trunks, spine and chest two breasts had been removed, most of the duplicated internal organs were left untouched by the surgeons. Accordingly, charged with the joy of accomplishment, the team members went to their homes to compensate for multiple hours of sleep deprivation from the nights before. What is your take on the country’s health sector development? 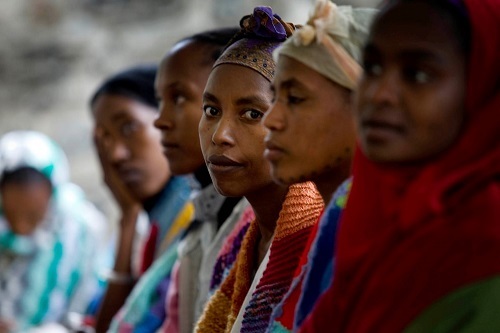 We have more than 40,000 health extension workers in Ethiopian farmlands, households, cities and the rest. There are as well a lot of hospitals and health centers in every part of the country. People are now gradually moving to modern health care. We fear the number of orthopedic doctors Ethiopia possesses is not a sufficient amount. According to WHO standards, we must have more than ten thousands orthopedic surgeons in Ethiopia. But the number of orthopedic surgeons (Including our specializing residents) does not surpass two hundred. There is still a long way to go. In fact, the future is bright given that we will open another new specialty schools in Hawassa, Haramaya, Jimma and other parts of the country soon. This number will definitely catch up. We need more schools. With the current 4 speciality programs, we can’t address our patient’s demands and satisfy the number of doctors applying to pursue with this career. Regarding instruments and Implants; we now possess a lot of imported instruments, in the long run, our country will manufacture them. There are already initiatives emerging. Hence, we are successfully addressing and treating most of our orthopaedic problems: fixing any complex fractures, replacing joints, removing tumors, etc… . Basically, most of the trauma surgeries done in Europe, in USA and other parts of the world are also being done in Ethiopia. Just find the right person and place. Tell me about your specialty students and teaching life. I take pleasure in teaching more than anything under the sun. Specializing doctors (we call them Residents) take most of my attention. I really like them a lot and worth to invest my time and energy with them. Residents are my priority at Blacklion Hospital (off course patients are too). They are the future; they are great in their own. They are responsible and mature. I have no words to convey the duties and responsibilities they effectively execute every day. Apart from training specialists together with my colleagues, I also train the undergraduate students sometimes for few hours. I also equally like this group. We have been transferring our knowledge to the young generation in view of the fact that we are shouldering a lot of responsibilities. With all my colleagues and staff, we cover big practices across the country. I am comfortable; we love and care one another. We share what we have with pleasure. We serve our citizens and we do not go anywhere. We are determined to serve our nation, both during war and peace. Our main role is to fix fractures! At this point in time, most of the doctors are studying day and night with the purpose of joining our specialty given that it is a very competitive department which has been winning the hearts and minds of most of the young general doctors. We are well tied to shoulder the responsibilities our citizens have endorsed on us. In brief, the status that we are heading the team is encouraging. How do you see the status of orthopedics at this time? Orthopedics is booming from time to time. My dreams are precise. I expect together with the younger generation, in the long run we will be effectively handle most orthopaedic problems here. I do believe in collaborations with good partners abroad. Skill, knowledge and technology can easily be transferred to our country. Orthopaedics is an art, science and technology. Orthopaedic instruments and implants are at times very expensive. Trainings are competitive and expensive. Partnership is both necessary and a key. Young dedicated surgeon trained and equipped well will stop lots of unnecessary referrals for surgery abroad. We do not want them to sell their houses and cars as long as we can treat them here at reasonable cost with best technology available elsewhere in the world. We want them to be treated here. We shall treat anyone with orthopedic problems without any problems. Let’s just educate and train the youth. The future is bright. In fact, my friends and I treated lots of foreign patients from the USA, Europe, Asia and several patients from African countries. Therefore, we feel that with proper equipment, good training, good heart, good facilities and good policies, Ethiopian orthopaedics has a better future. I do believe Ethiopia would be a medical tourism hub at a minimum for African countries. Why not? Can we talk about your research experiences? Research is another part I have. Besides giving service and teaching, we do a lot of research. A case in point, I have published around 34 major papers in standard journals apart from producing two books. As academicians, we are expected to deliver problem solving projects. This year I and my team won one of the highest national research awards from the Ministry of Science and Technology (MoST) on Physical Disability Rating. We will be conducting this research in orthopedic department as the output would be used all over the country without a doubt. It is a great research which the government is waiting for. I also advise Masters and PhD projects. I encourage and urge residents to do same. We do also have related national projects. As a final point, is there anything you would like to add? I would say Ethiopia is very different at this moment in time. Our people should know the fact that modern health is better than unscientific and untested sub-standard ways of treatment. Therefore, they should be able to know the huge potential we have in relation to orthopedic practices in Ethiopia. As most of the treatment equipment is available in our country, they do not have to go abroad putting up for sale their houses and cars as long as the treatments are available in our country. In fact, I accept as true that limited amount of patients may go aboard for facilities that we may not have here. When our people have orthopedic problems, they should look for the right specialist and discuss thoroughly their problems for the reason that we possess the whole thing at our doorstep. Unfortunately, most people do not know that a lot of progress has happened in our country and thus I strongly advise them not to rush abroad thinking that there is nothing here. We are all around. It is best to be treated in homeland surrounded by lovely people, attendants around you, praying for you, encouraging you and talking the same language. We are now working towards that. As we are at good status, the public should know the reality on the ground and optimally use all of us. Finally, I would like to thank GOD, who cures when we treat our patients, my patients for trusting me giving me a chance to treat them and our government for recently purchasing orthopaedic instruments and implants for the skilled surgeons ready to serve in Tikur Anbessa Specialized Hospital amounting to 10 million Birr for the first time. I also would like to thank my wife and daughters from my deepest heart for always supporting, encouraging and loving me.